Chris Friesen is a Registered Psychotherapist who has been working with children since 2013. Chris specialized in working with children who are struggling with externalizing behaviours. Chris works at the award winning SNAP (Stop Now and Plan) program and is also a Sensei at Integra’s Mindfulness Martial Arts Program. Chris has been practicing Goju Ryu Karate since 2002 and has been practicing Muay Thai at Krudar Kensington since 2013. Chris fell in love with the rigorous and intensive workouts paired with the warm and friendly atmosphere of Krudar. While he became hooked on the fantastic training he was receiving, Chris was also invited to help teach the Pre-Champ class. 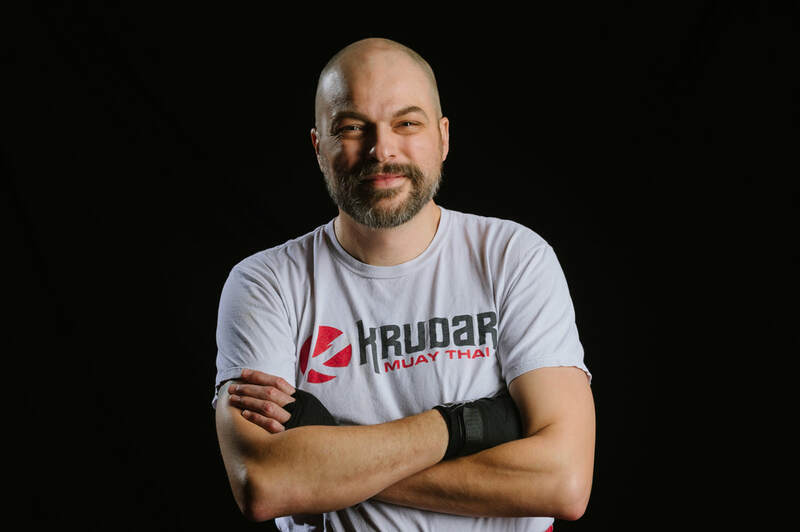 It is Chris’s mandate to combine the training he has received from the Krudar team with his professional training to help the pre-champs begin to foster the Strength, Confidence and Focus required to become successful Nak Muay and successful adults!